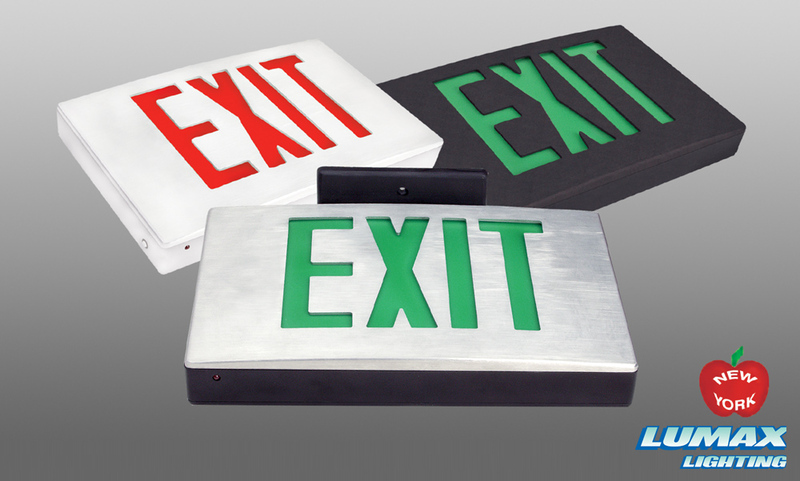 Low profile, die-cast aluminum LED exit with push to-test switch and charge rate/powerLED indicator. LED lamp life of 25 years. Safety cord equipped face plates. Optional maintenance-free,rechargeable 4.8V nickelcadmium battery.